After 35 years in Harborne, iCycle, the bike shop, is moving to new state-of-the-art premises in Bearwood. 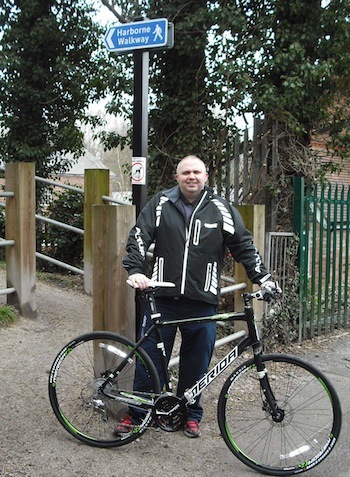 To celebrate the occasion Shaun Jones, iCycle’s shop manager, wants to invite cyclists of all ages and standards to join him in a charity cycle ride from the old shop to the new one. The majority of the 2 mile route will take cyclists along the pathways of the scenic Harborne Walkway, which follows the old railway line. The riders will be escorted along the route by safety marshals, who will also be on their bikes. On arrival at the new shop, all riders and their families will be able to enjoy light refreshments and will also be given a gift from iCycle. There will be a raffle to win a variety of bike accessories as well, with all the money raised going to Harborne-based QAC, a national charity for people with visual impairments and/or other disabilities. A non junk food shop opens in Bearwood! There is light at the end of the tunnel! I can’t make this ride but looking forward to the new shop opening. Any info on the shop’s location? David, it is the building on the junction of Three Shires Oak Road and Bearwood Road (formerly New Arrivals) and it will be a training cafe for the Queen Alexander College for people with disabilities, as well as their cycle workshop. hi shaun, quick email congratulations to moving to your new premises, we are garment distribution company all types of clothing uniforms & cycle wear please have a look at our website http://www.abbtex.com many thanks abbey.